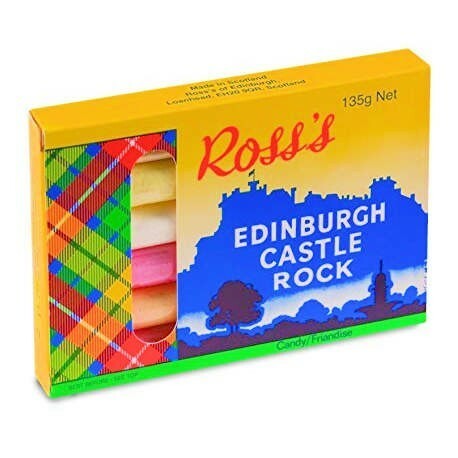 Ross's Edinburgh Castle Rock is a much loved old fashioned crumbly rock sweet in assorted fruity flavours. 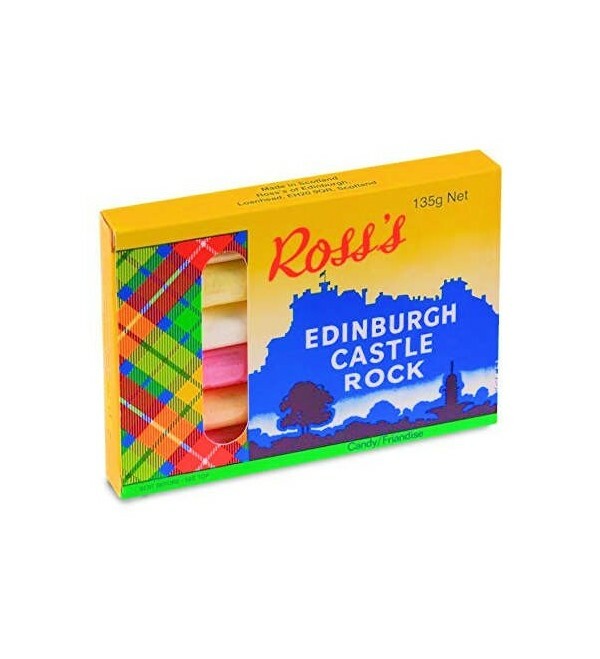 This addictive candy is a favourite of tourists to Edinburgh, travelling home in many a suitcase as a souvenir. Contain 6 individually wrapped sticks.